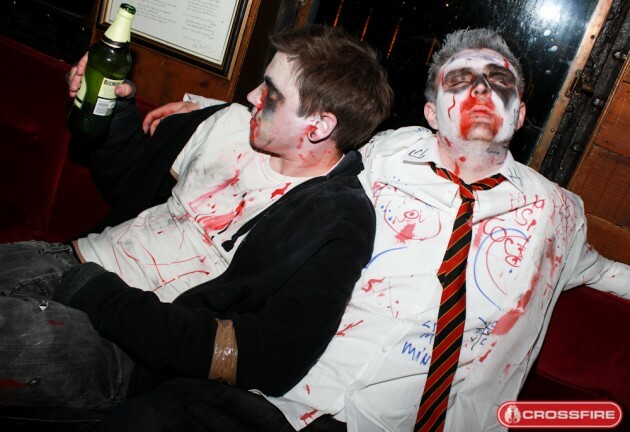 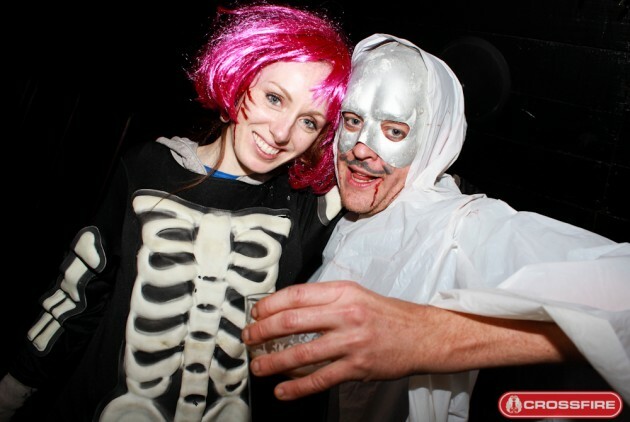 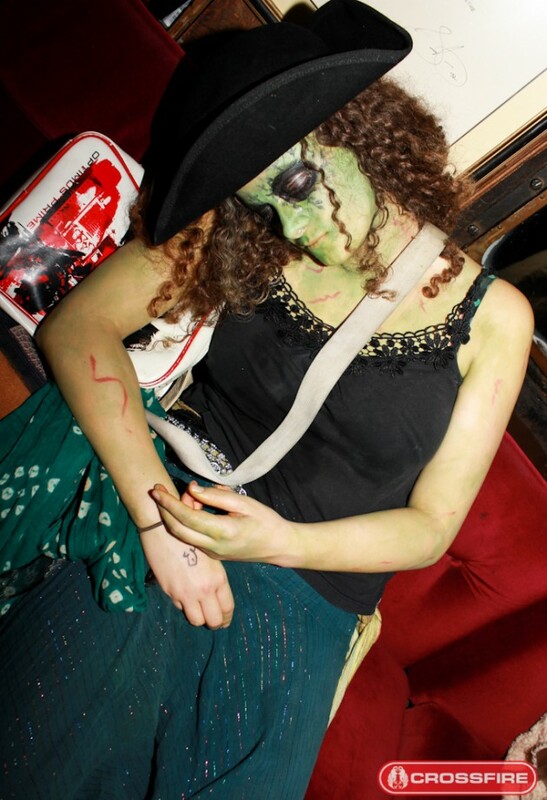 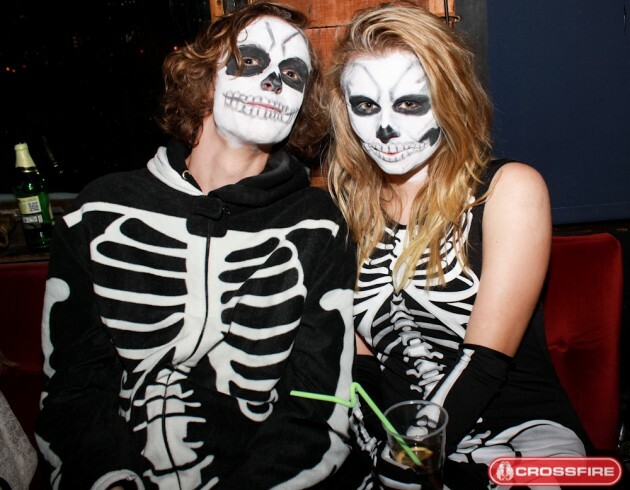 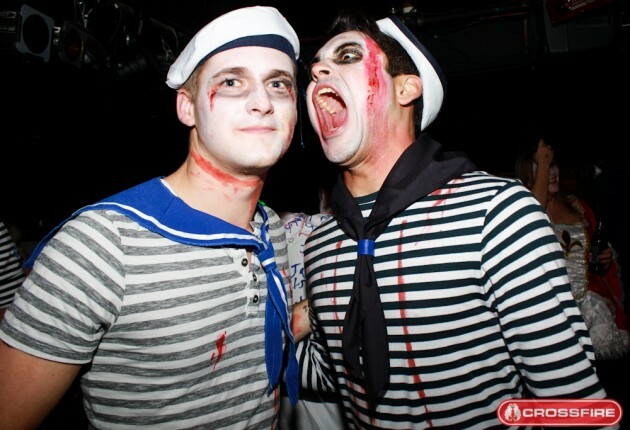 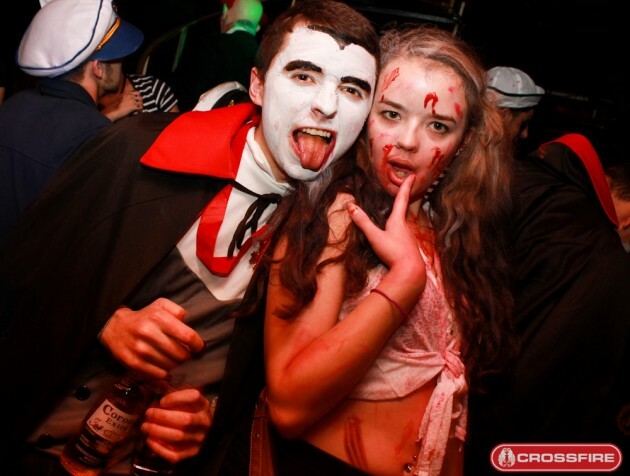 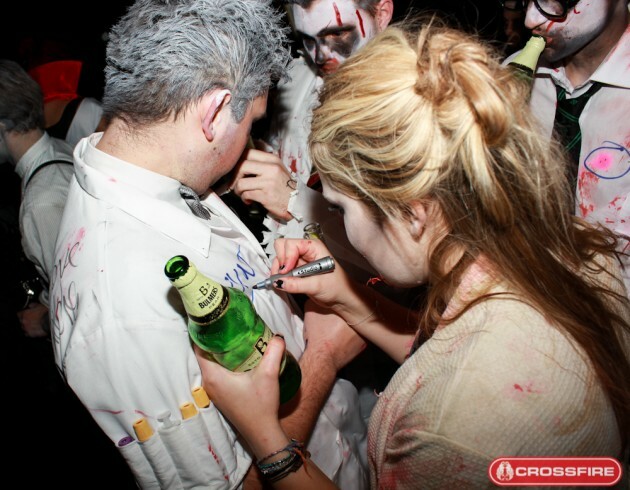 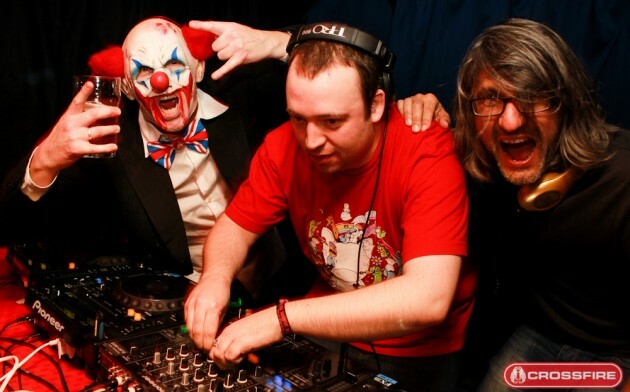 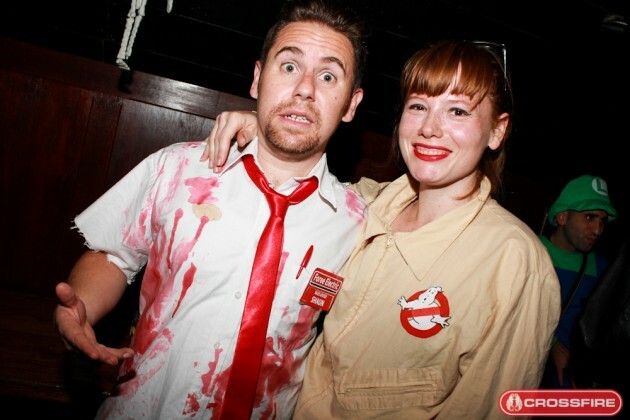 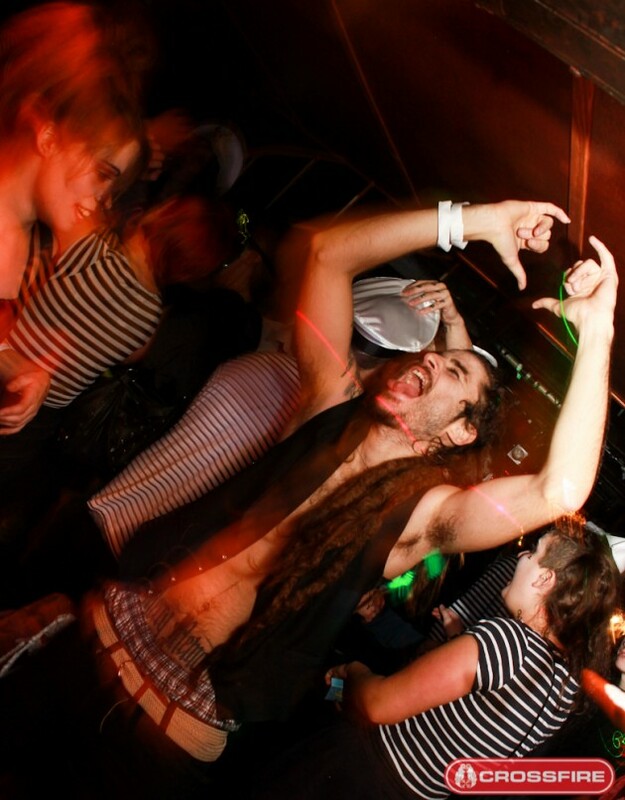 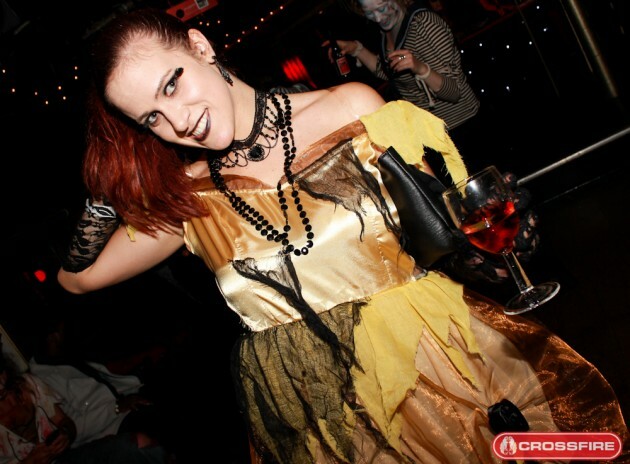 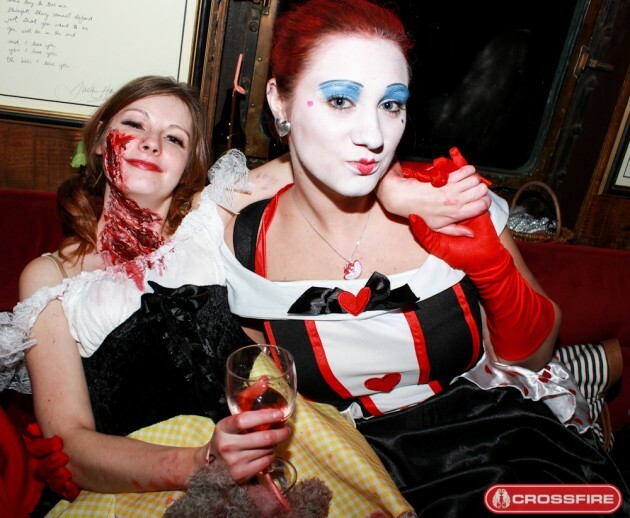 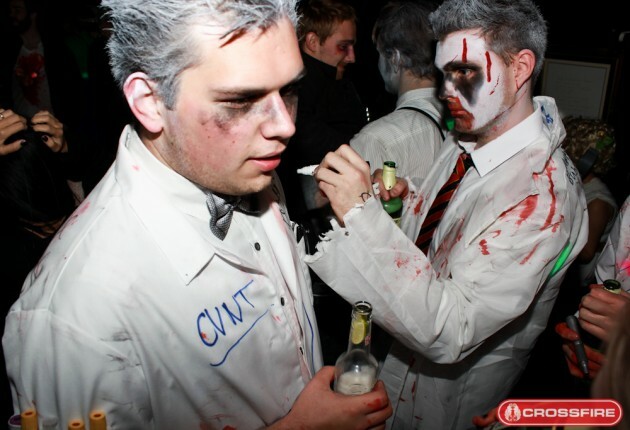 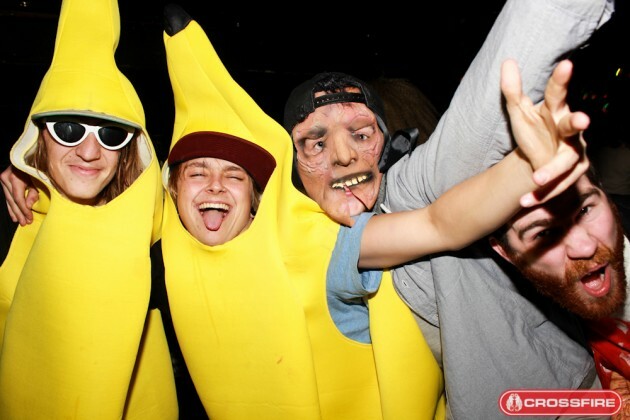 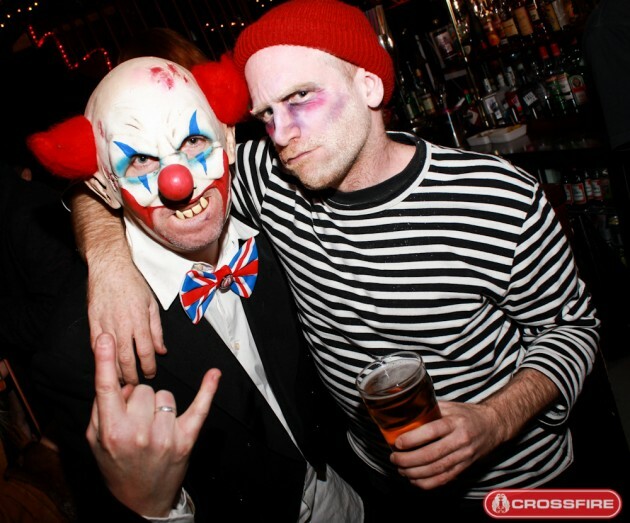 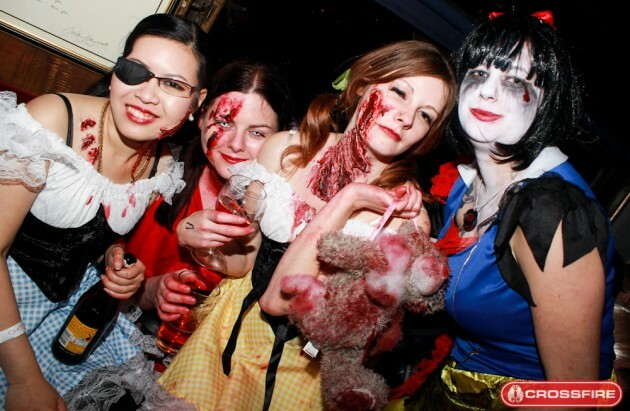 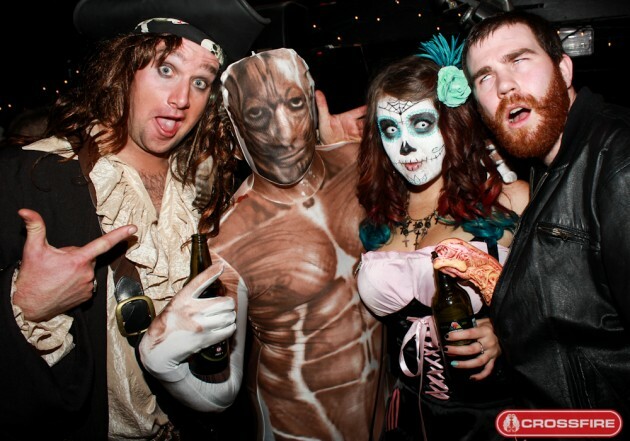 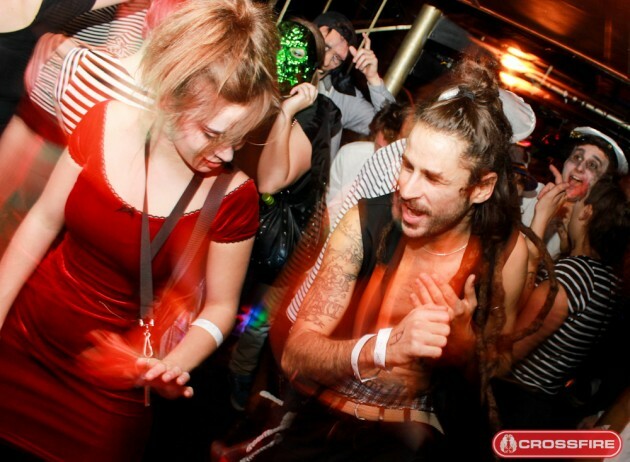 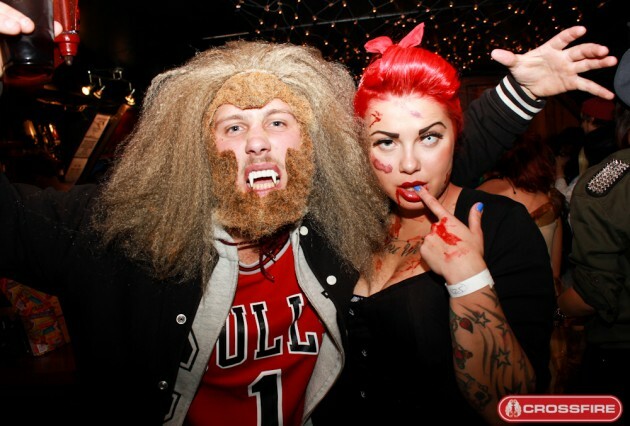 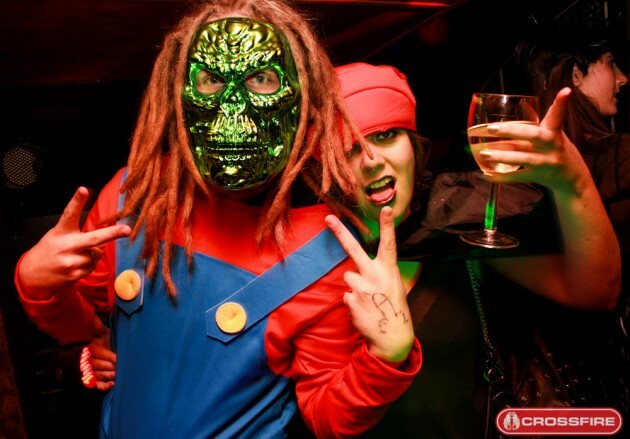 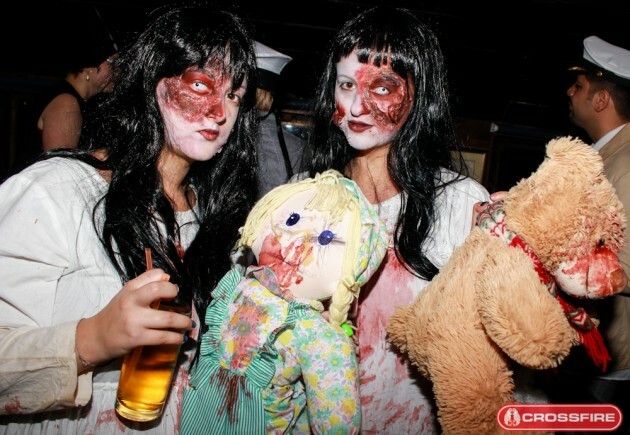 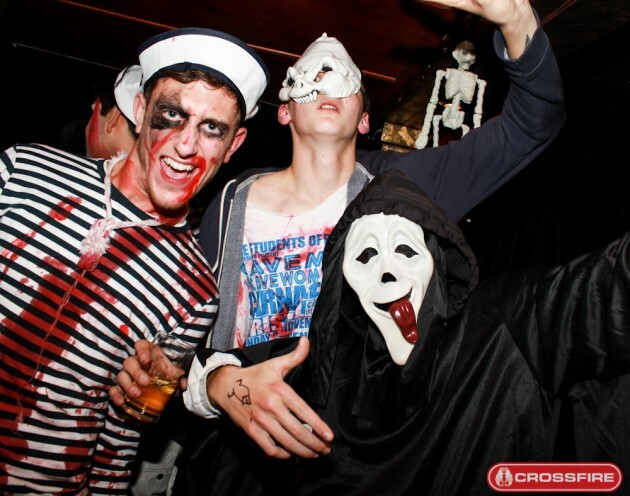 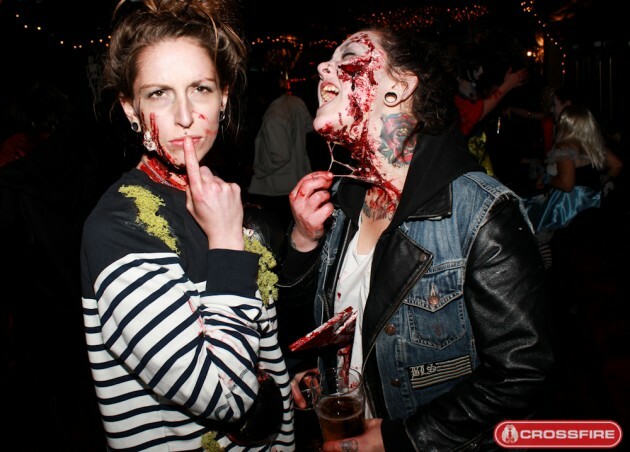 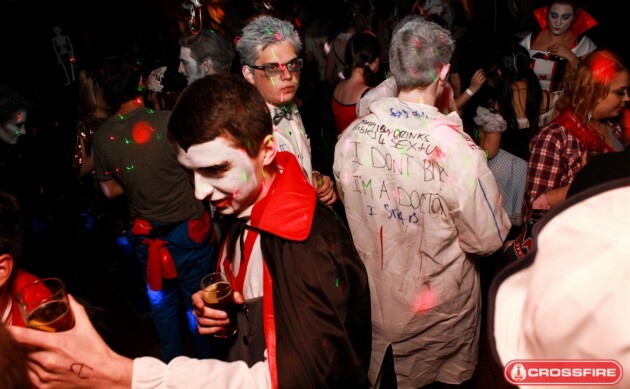 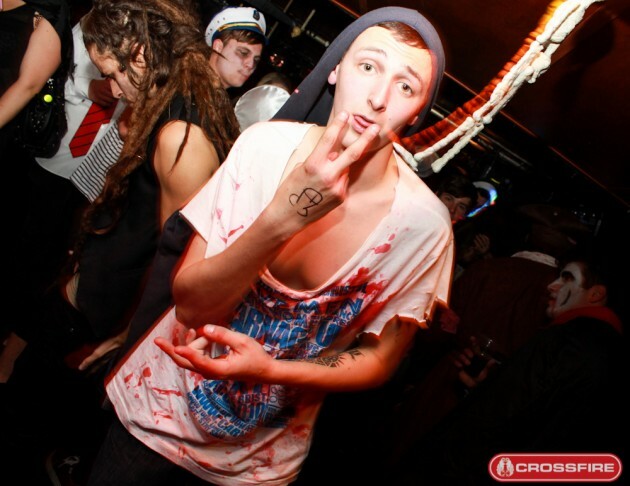 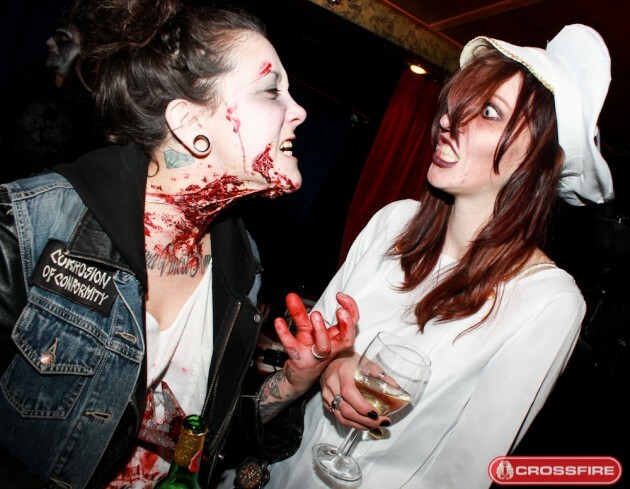 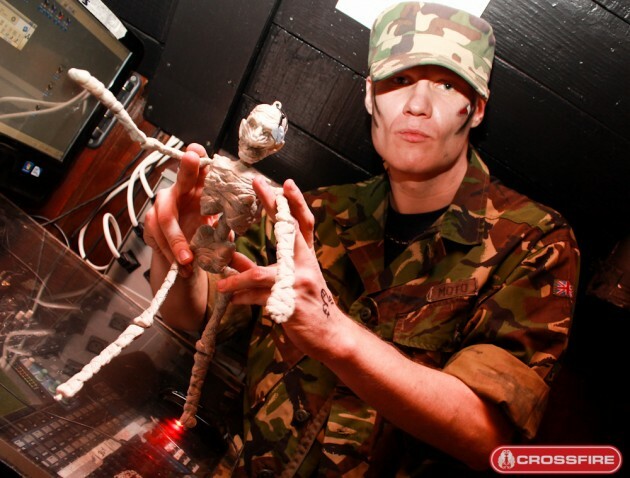 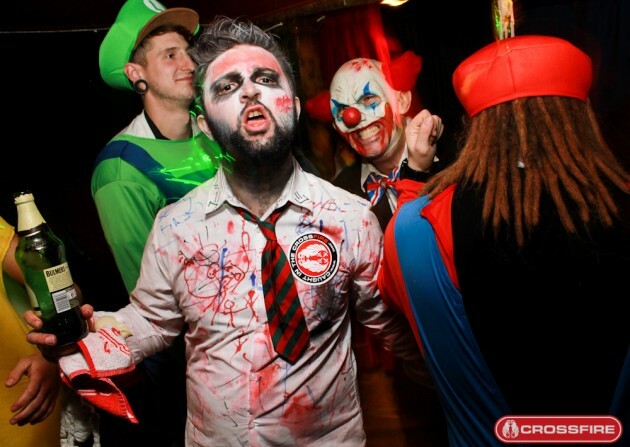 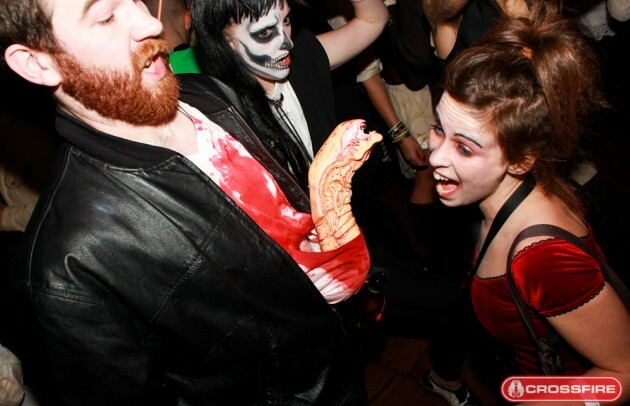 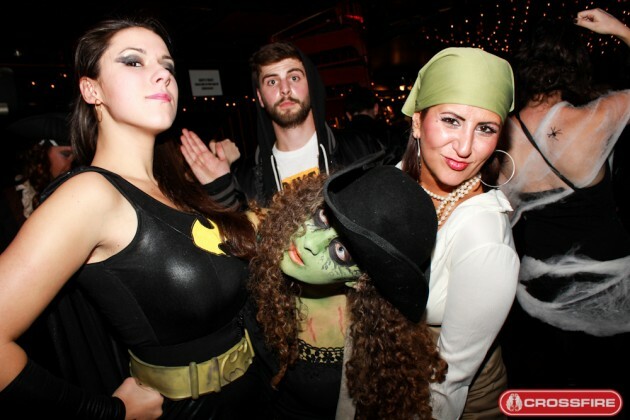 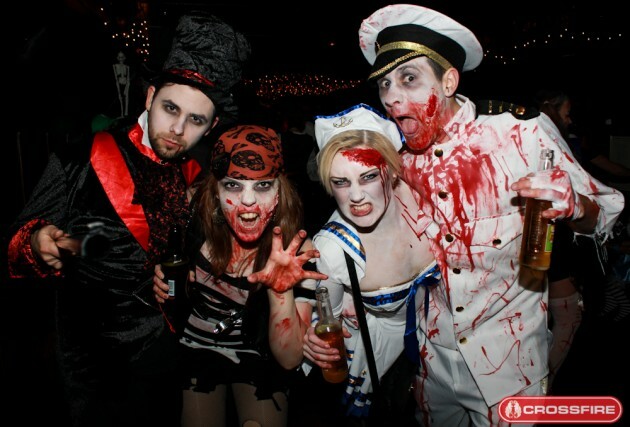 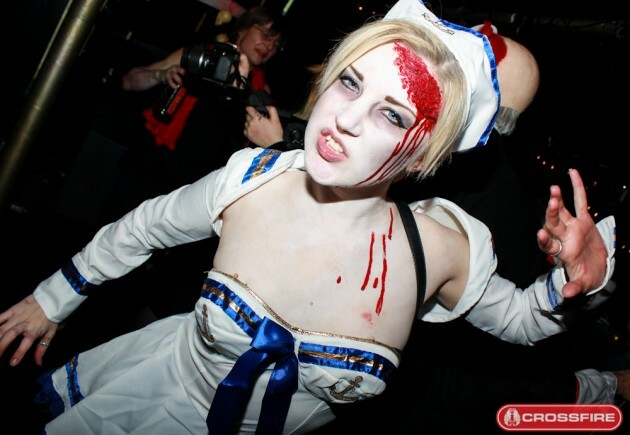 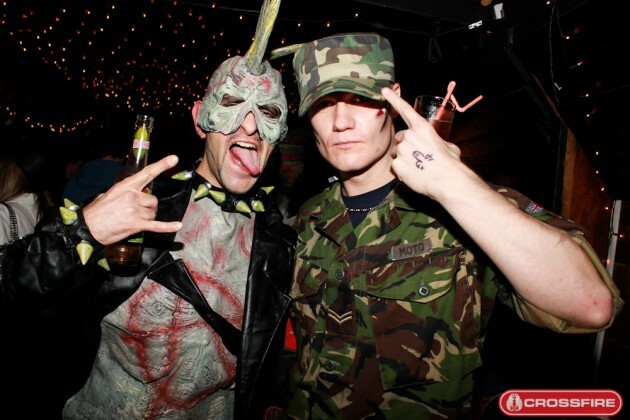 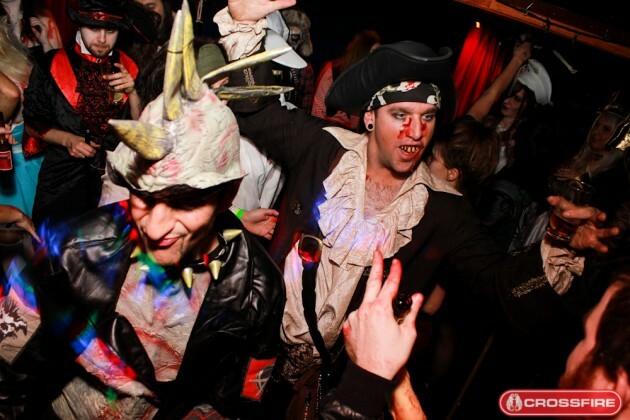 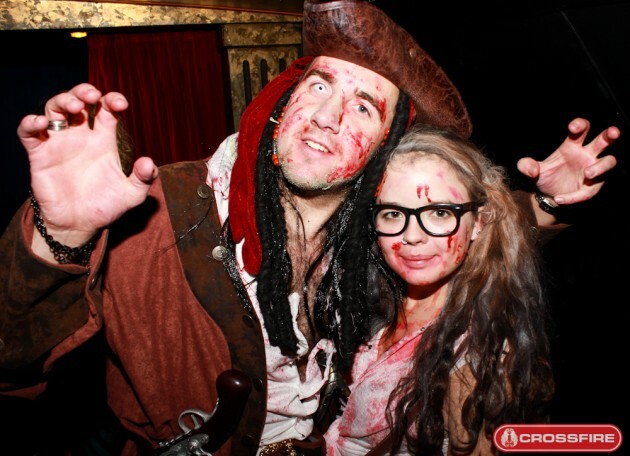 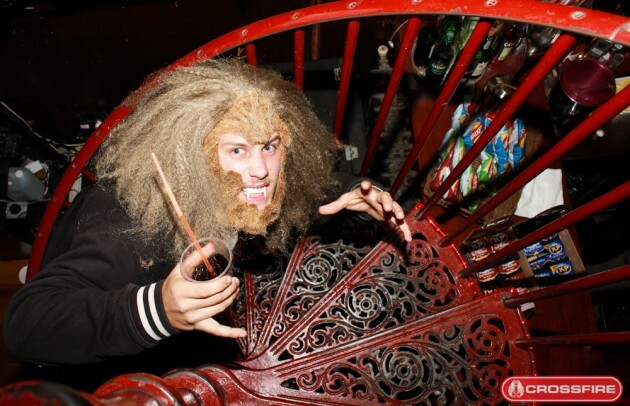 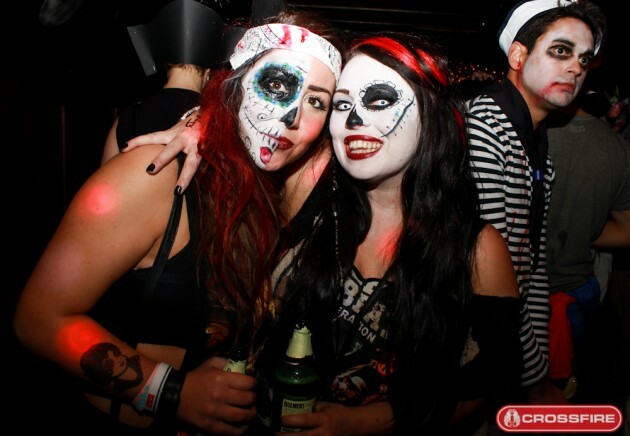 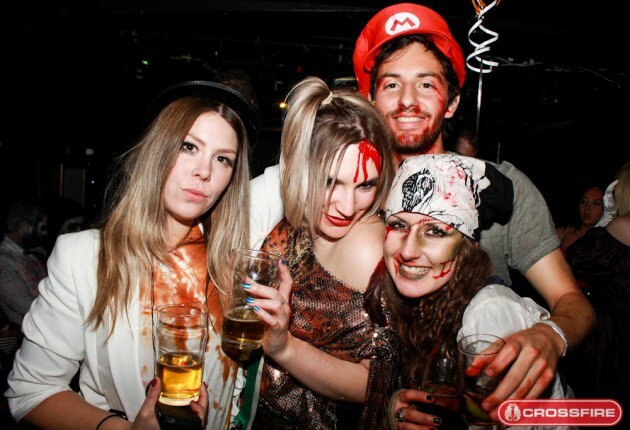 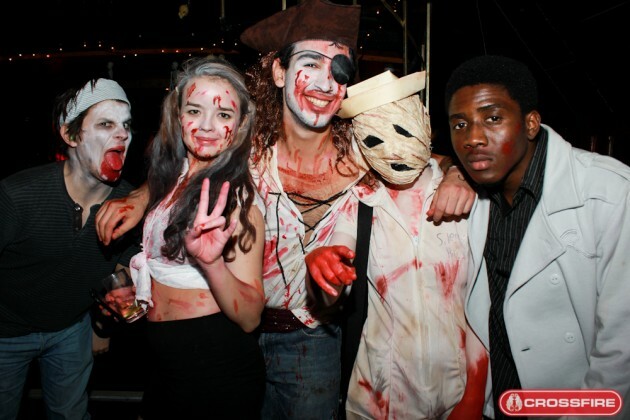 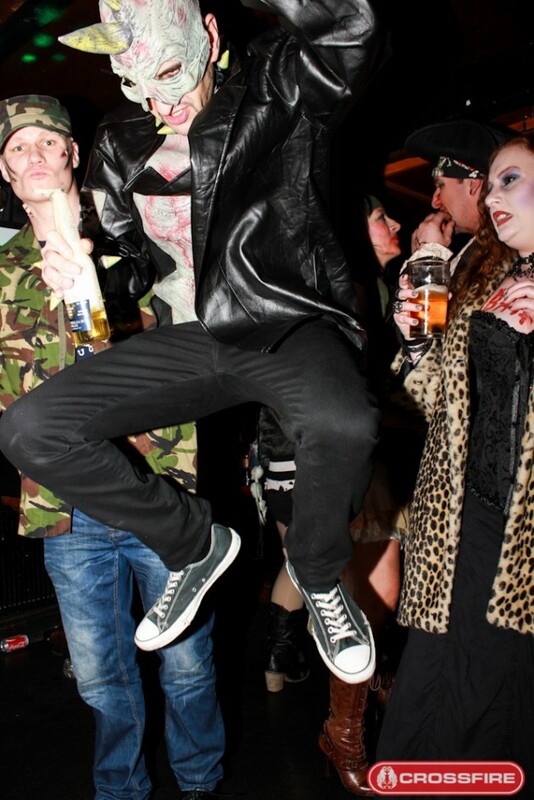 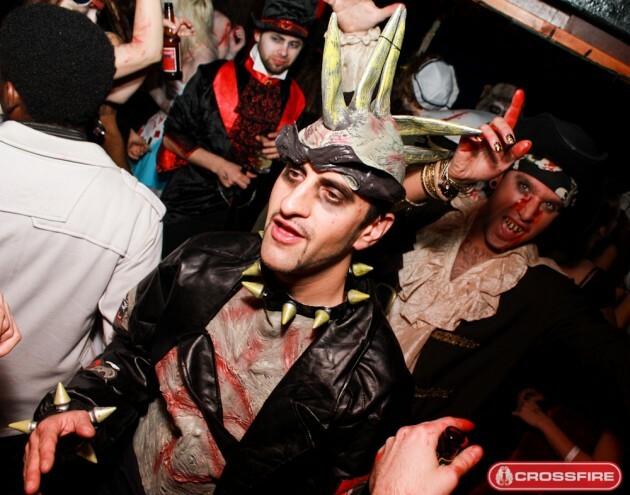 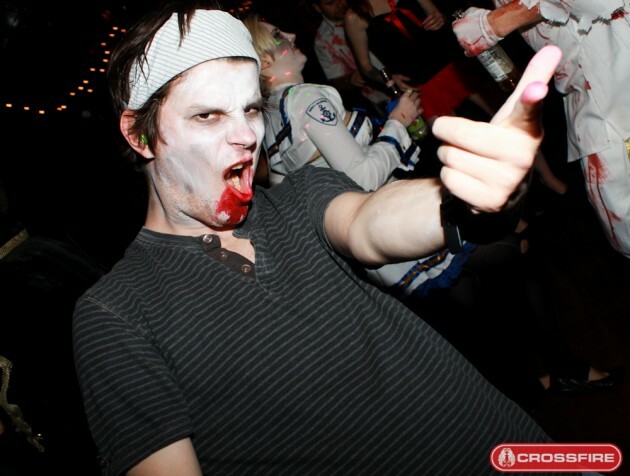 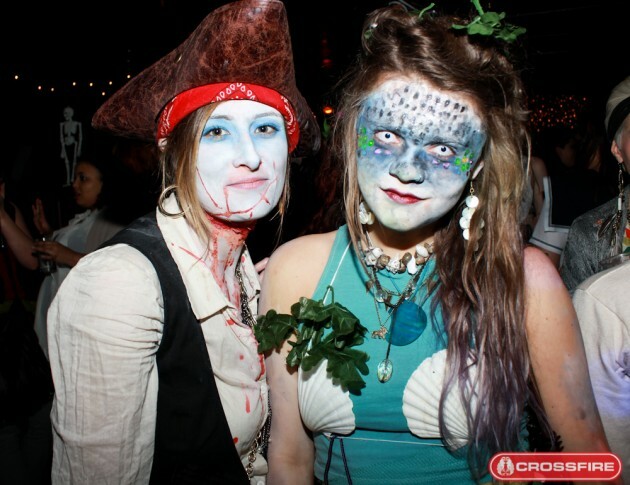 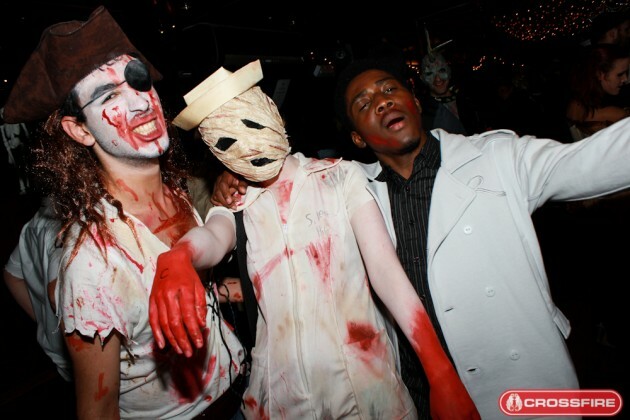 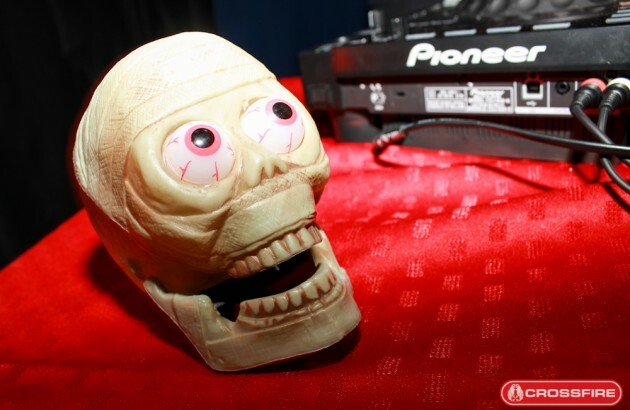 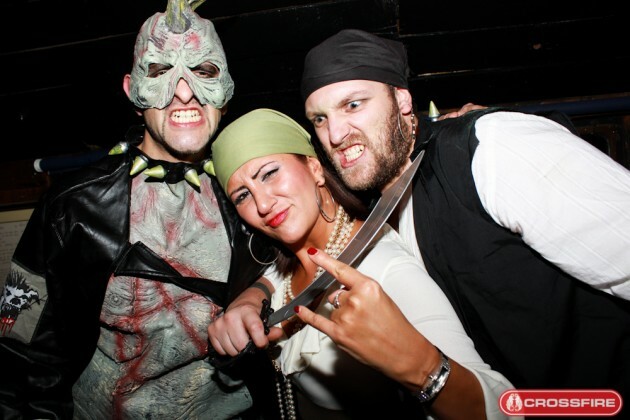 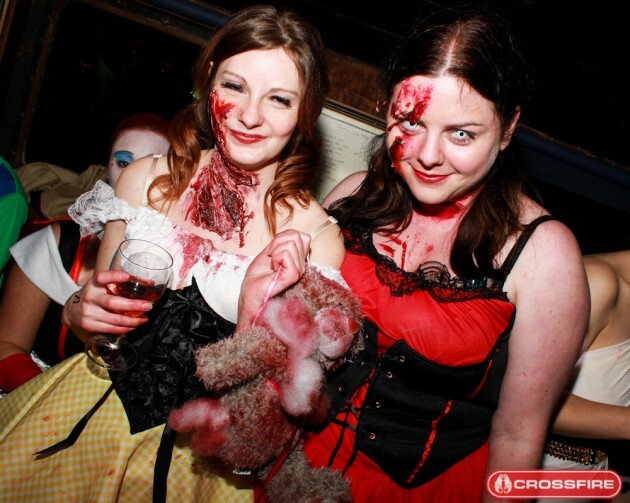 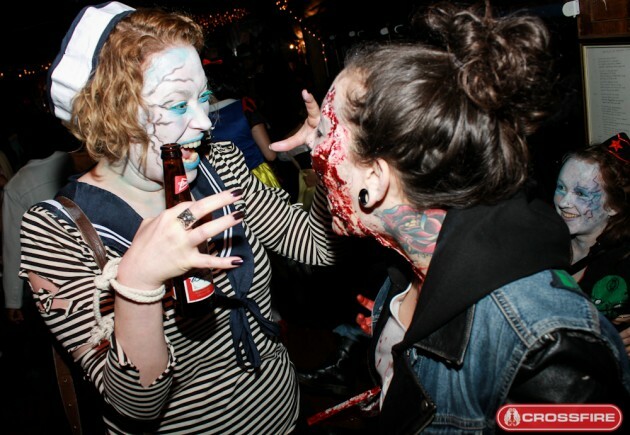 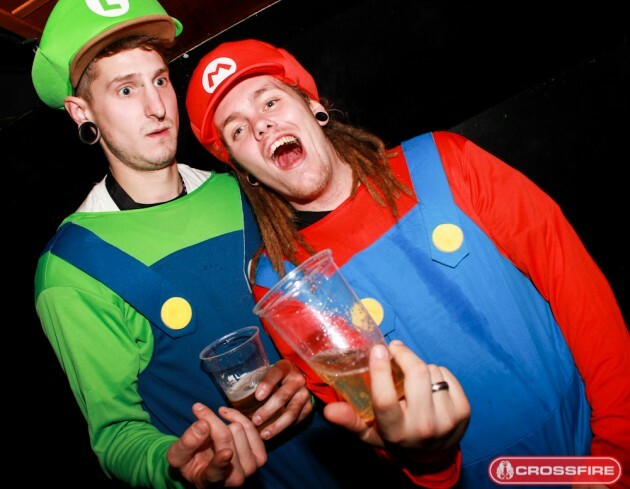 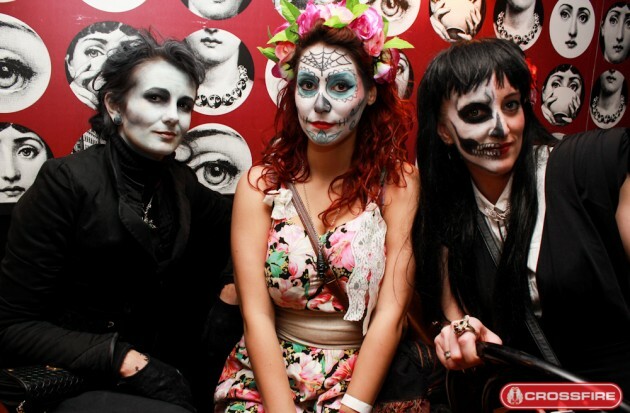 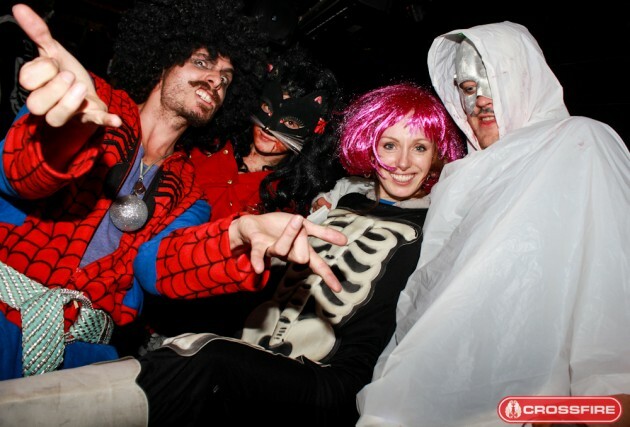 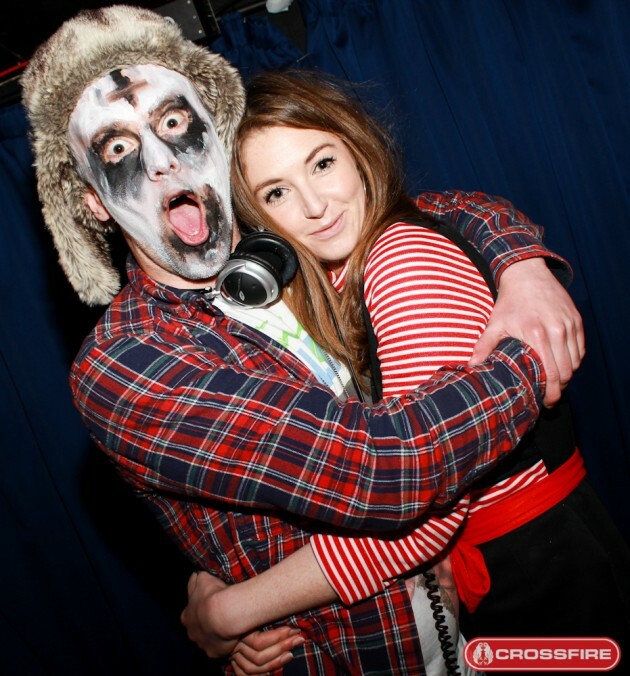 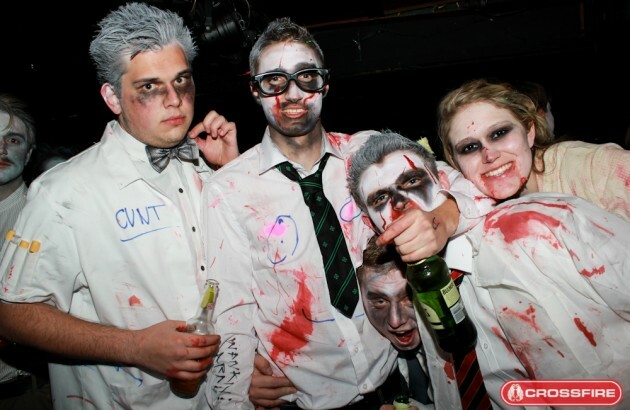 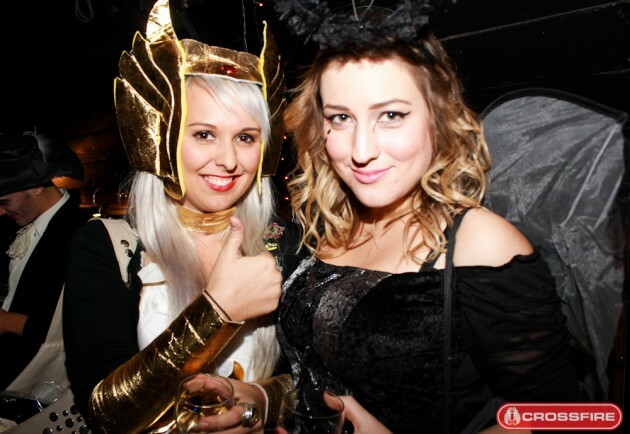 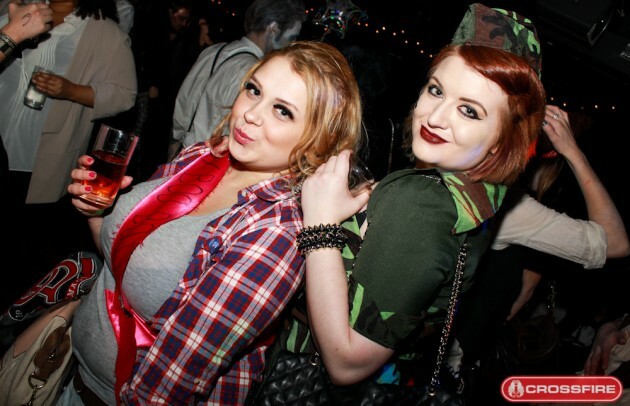 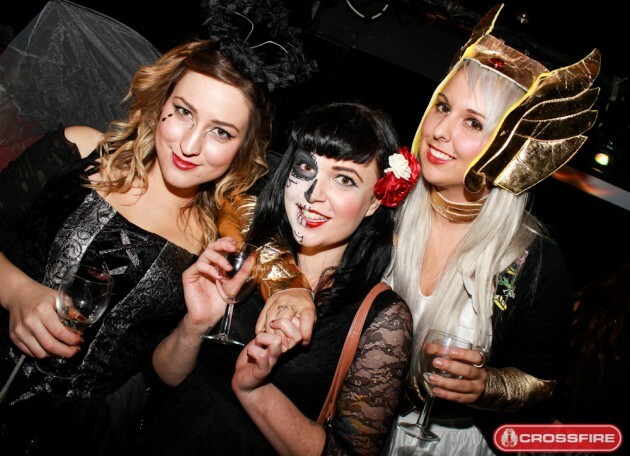 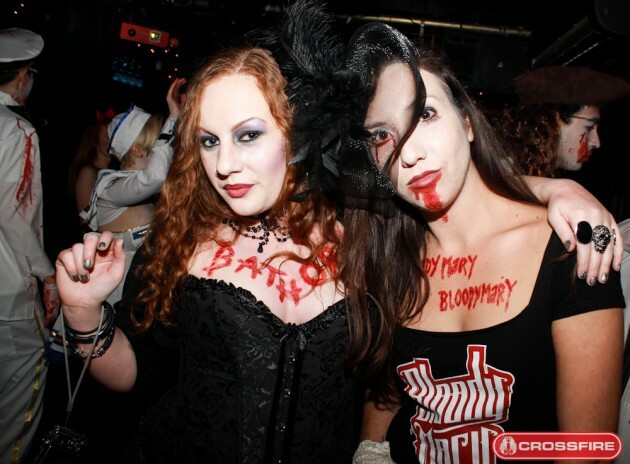 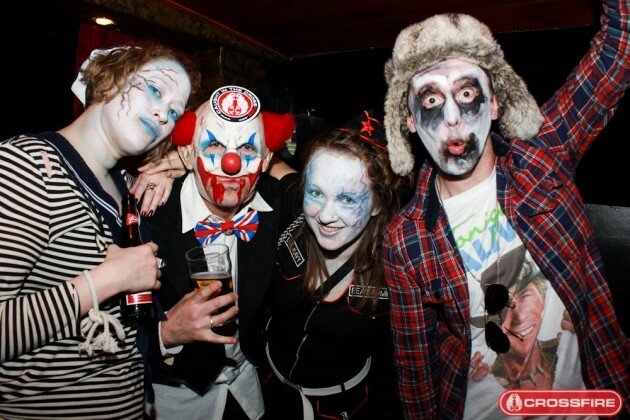 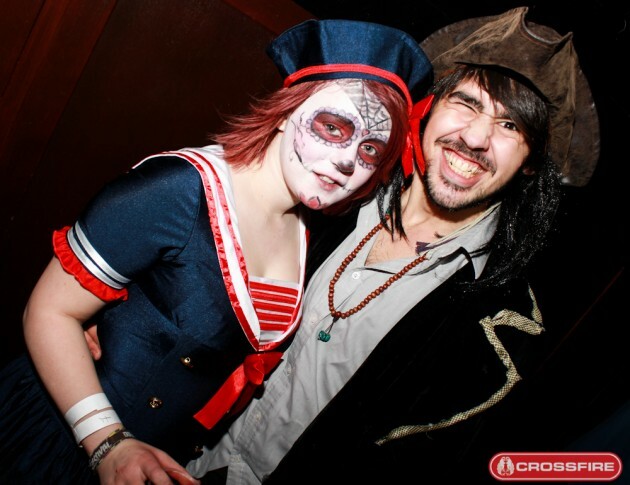 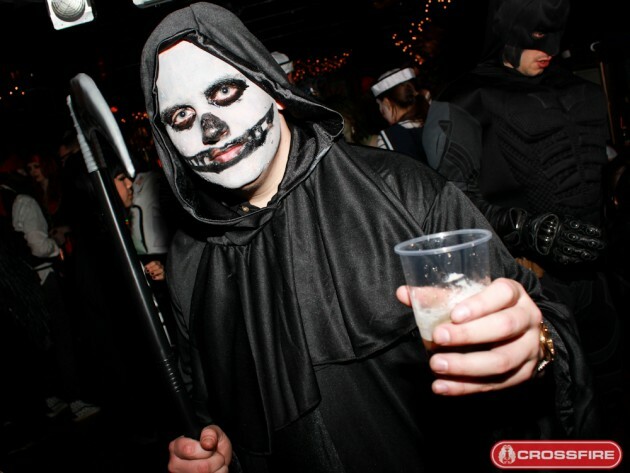 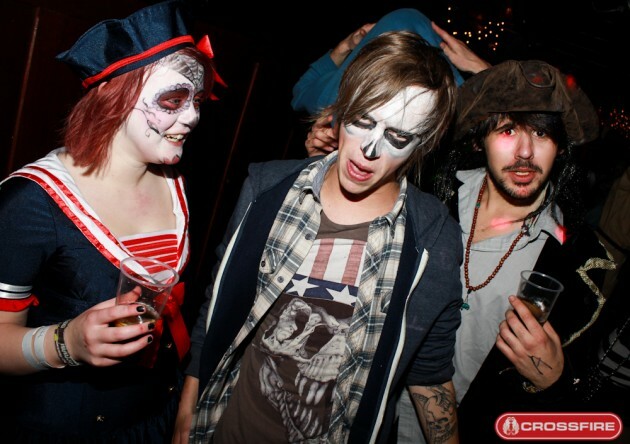 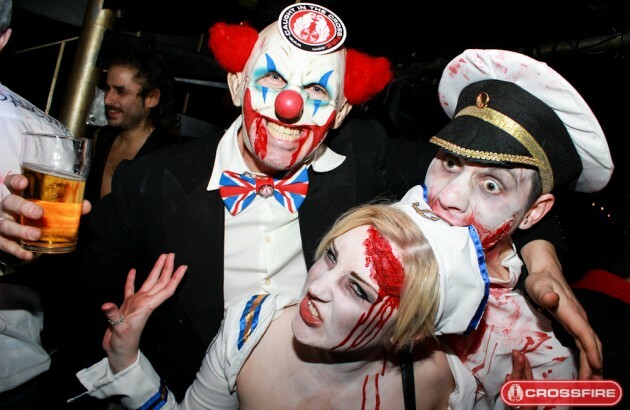 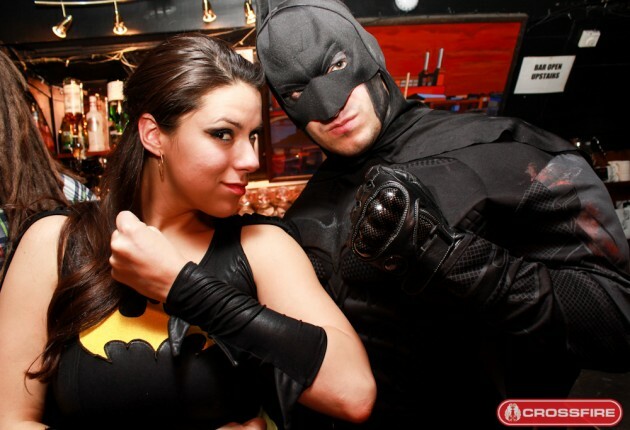 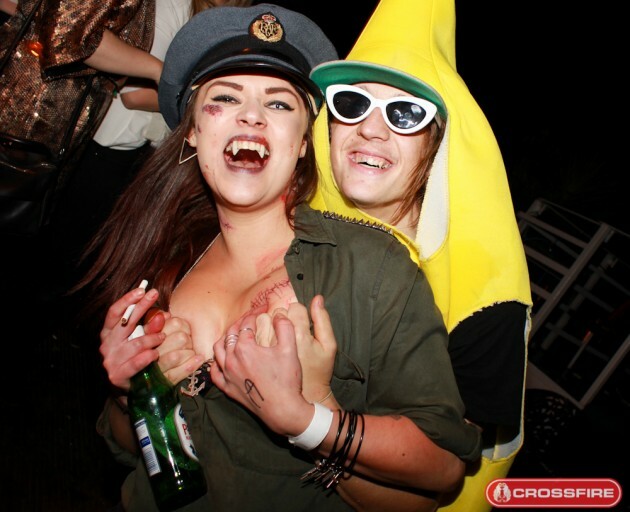 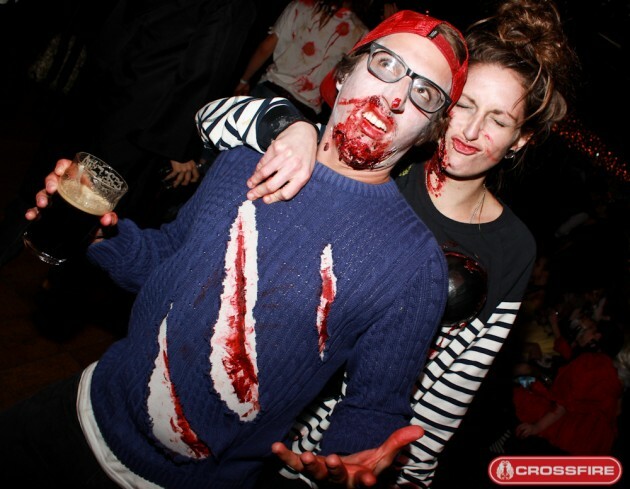 This year’s fully sold out Crossfire Halloween Massacre boat party in London was a scorcher! 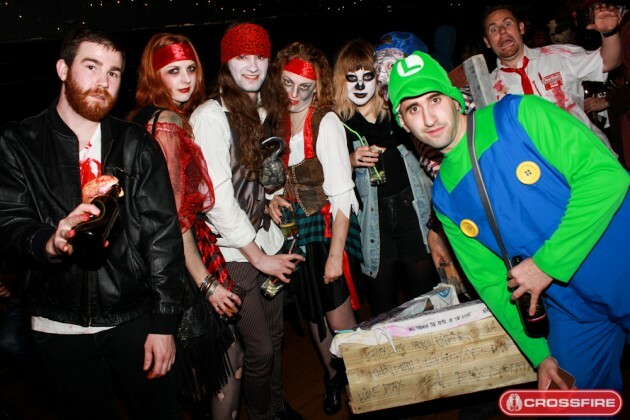 Some serious efforts went into this one in terms of fancy dress with a selection of nautical treats arriving down the plank! 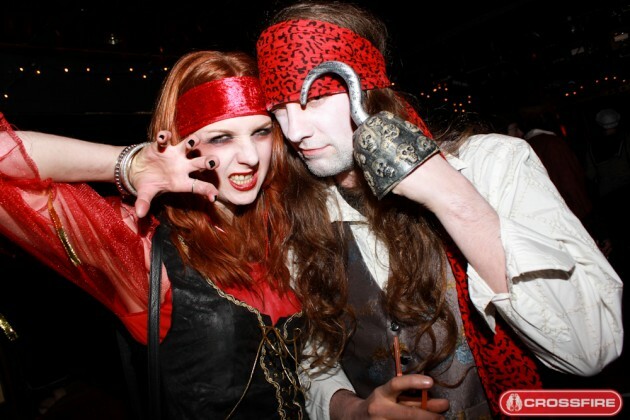 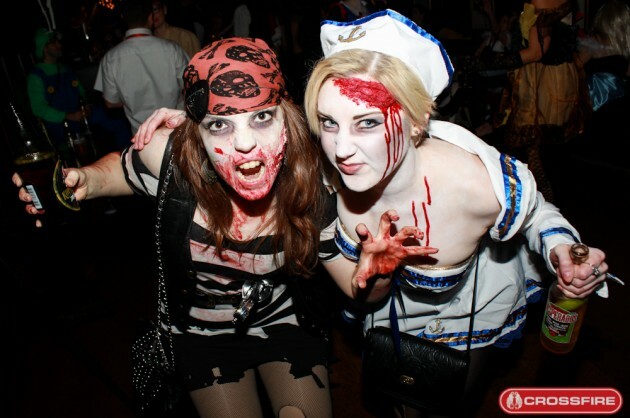 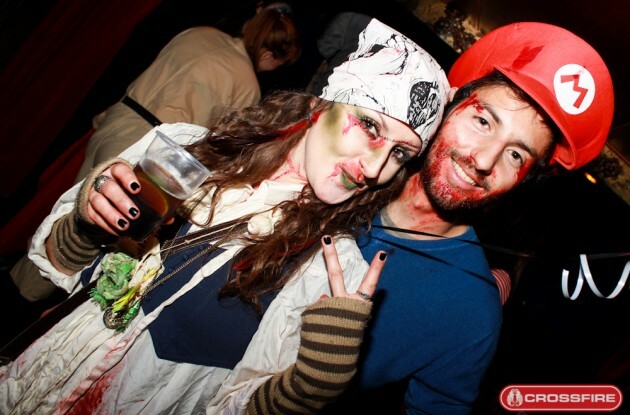 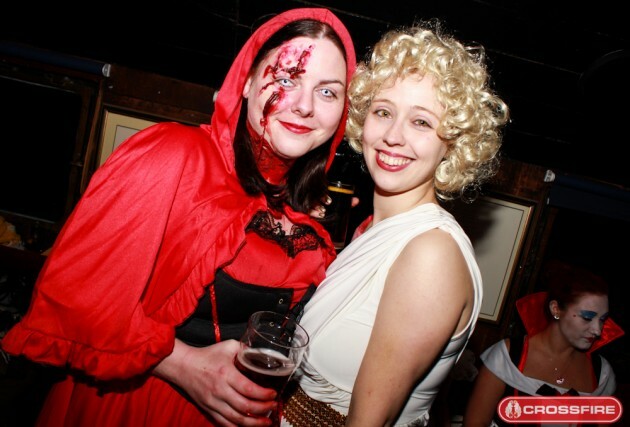 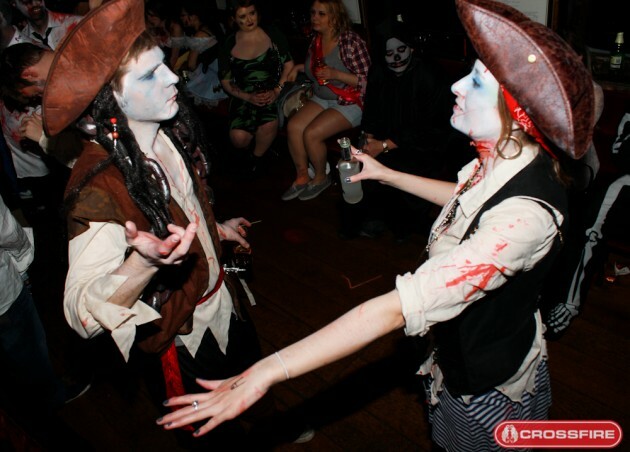 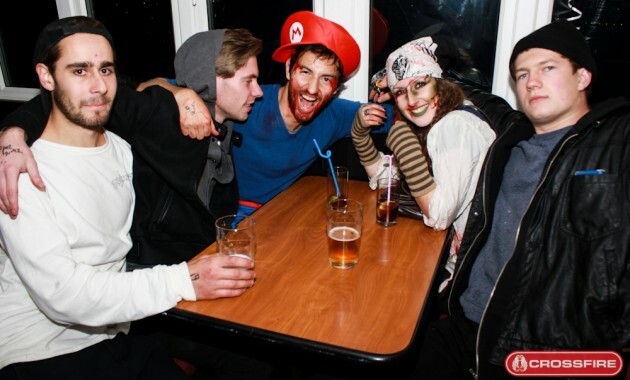 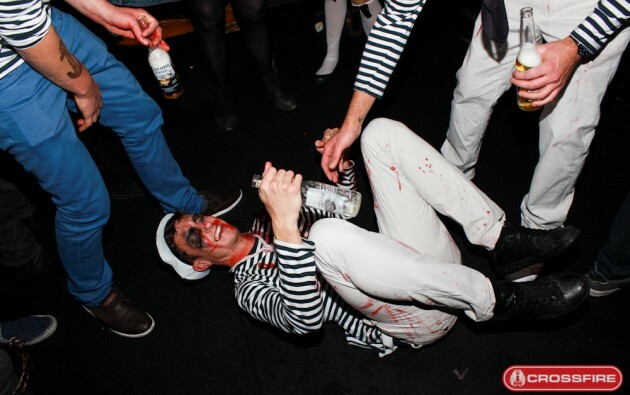 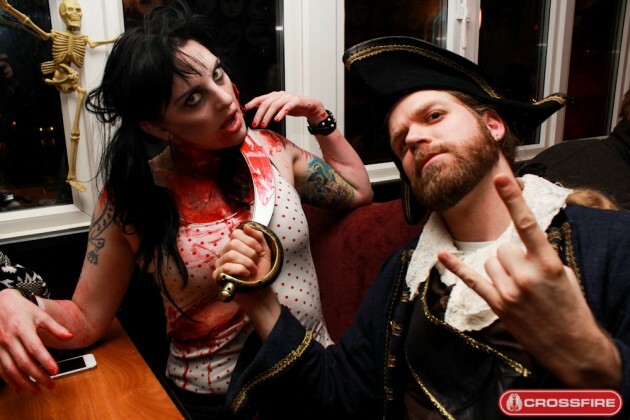 Zombie Sailors, Pirates-a-plenty and even a bloke dressed as a BOAT were present. 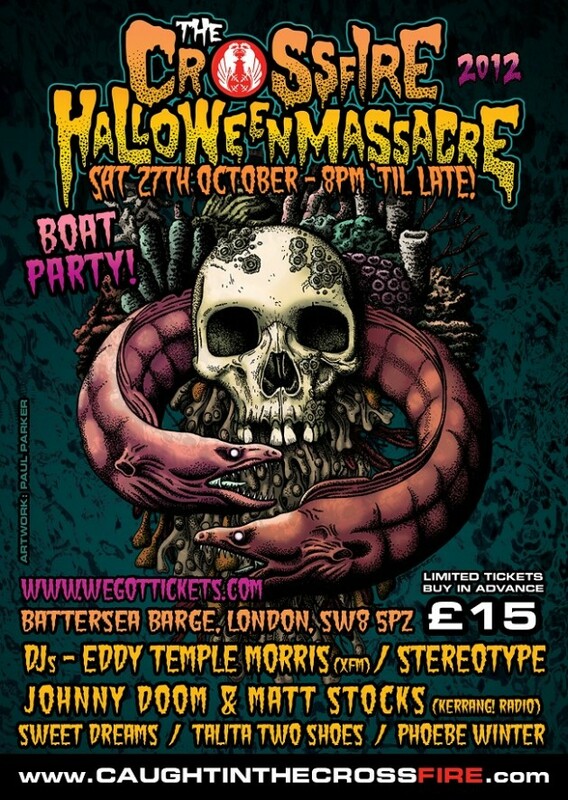 I’m amazed how he managed to get that huge wooden creation all the way to the Battersea Barge, which was not easy to find on the night. 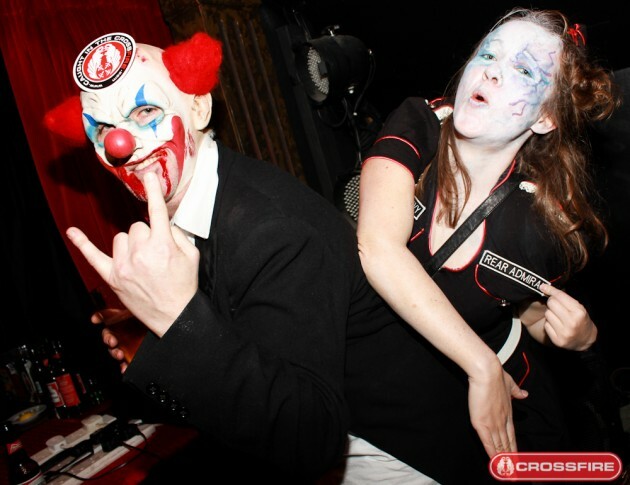 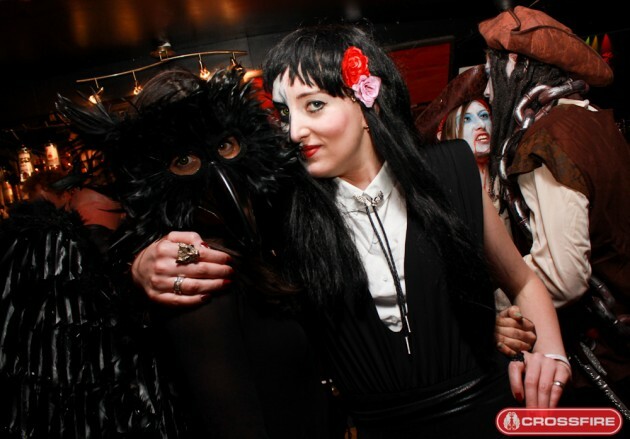 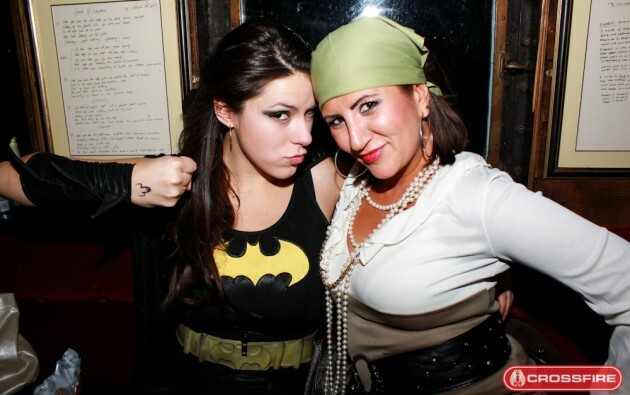 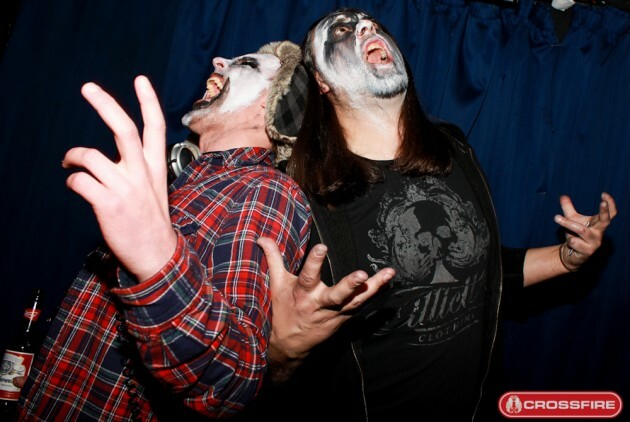 The deadly rock duo that is made up from the DJ presence of Planet Rock’s Phoebe Winter and Total Rock ‘s Talita TwoShoes kicked the night off with a selection of classics before handing over the decks to Johnny Doom and Matt Stocks. 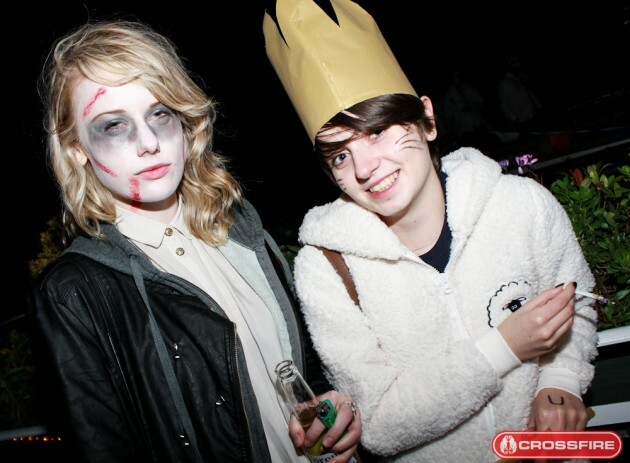 The Kerrang! 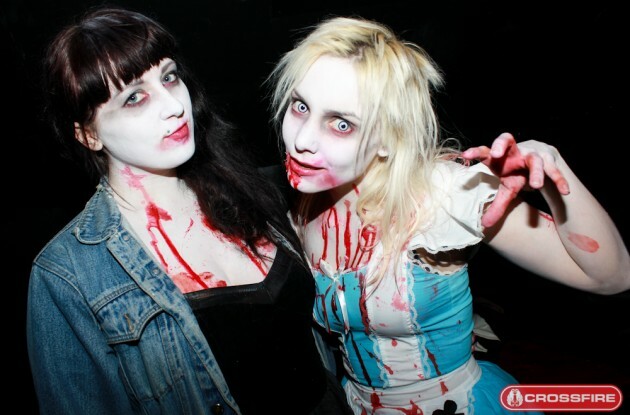 Radio duo had the dance floor rocking as fiends fell through the door, some of them already bitten by the cold weather, Thames rats and South London Vampire’s. 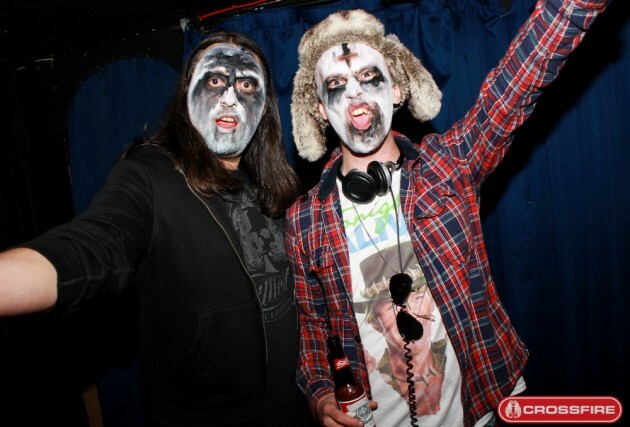 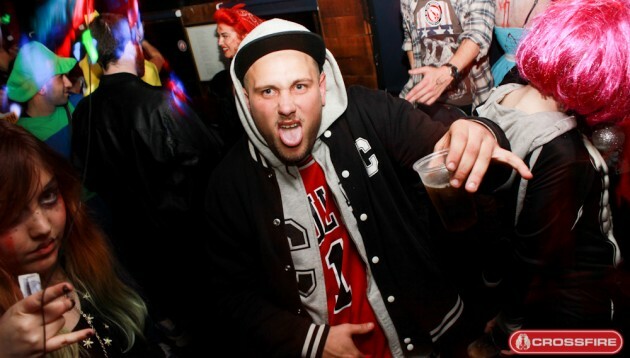 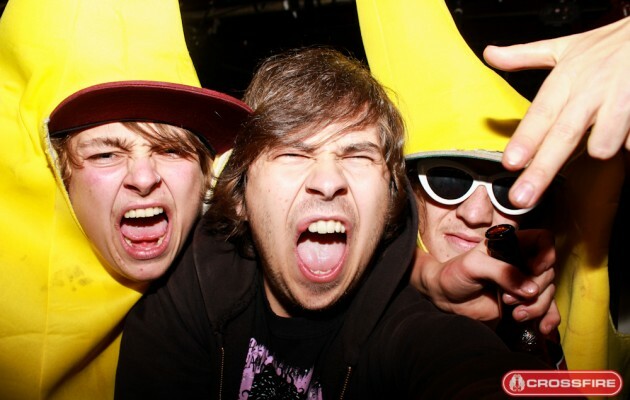 The beats dropped like bombs from XFM Remix Show overlord, Eddy Temple Morris whose mash ups had the roof raised alongside the demonic DJ skills of Stereo:Type. 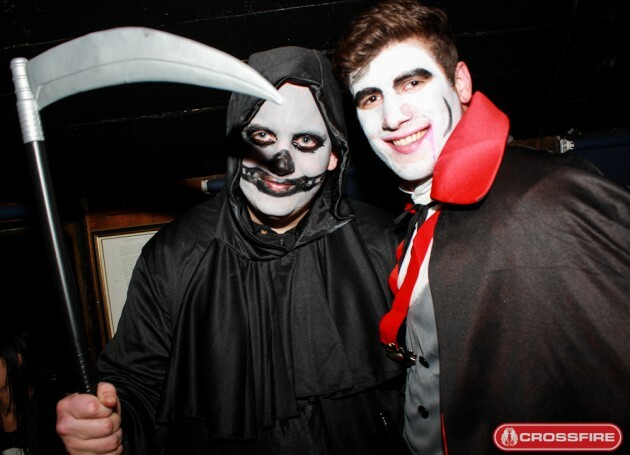 You came, we saw. 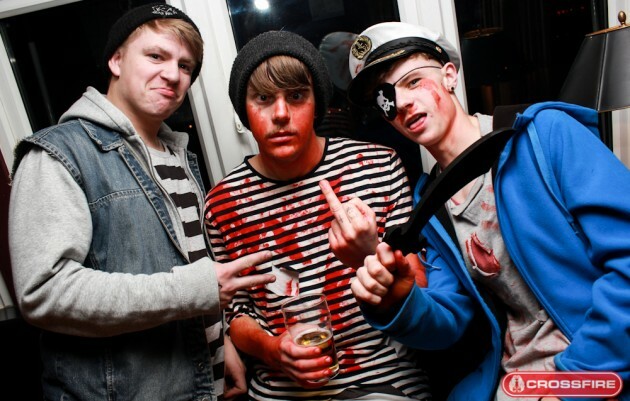 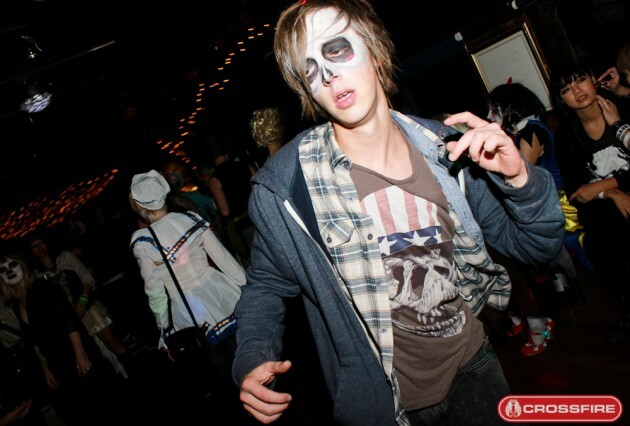 Your outfits were sick. 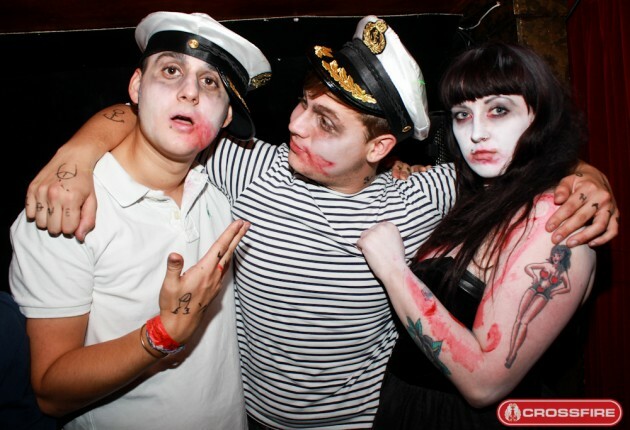 The boat was one huge mash-up! 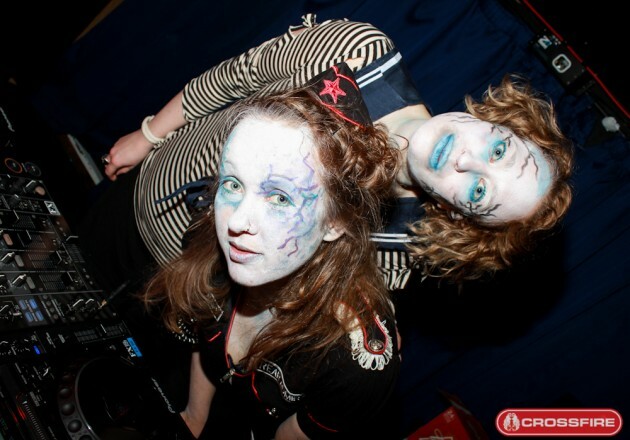 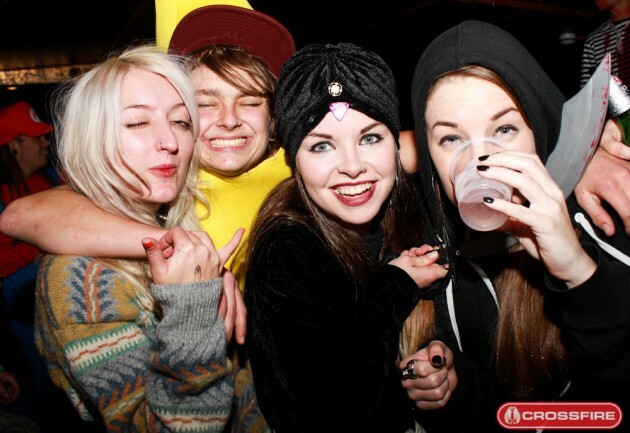 Joe Brady spent the night taking these amazing photo’s of you all. 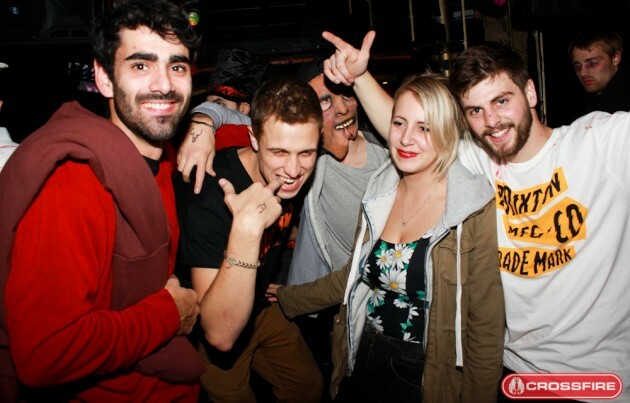 Enjoy them, share them and thanks for coming down if you were there. 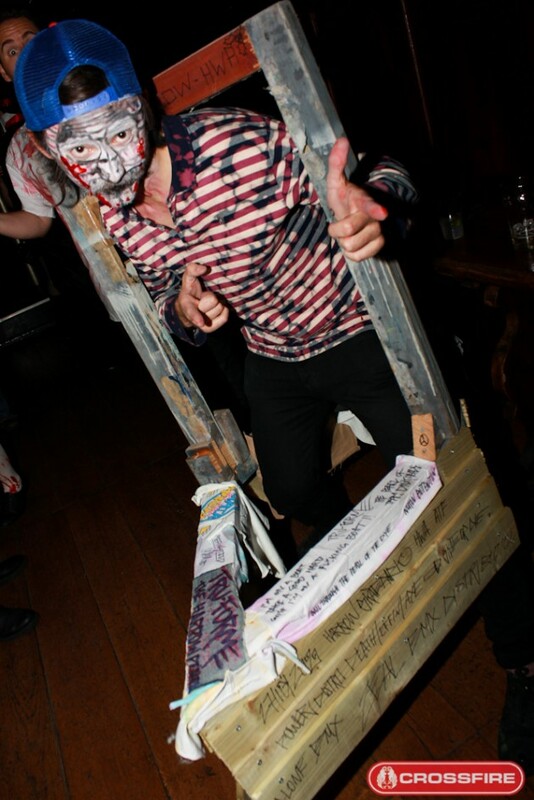 Thanks to Paul Parker for his incredible artwork, Joe, Chloe, Nic, Holly and the Battersea Barge for their help on the night, and all of the DJ’s mentioned above for their amazing work on the decks. 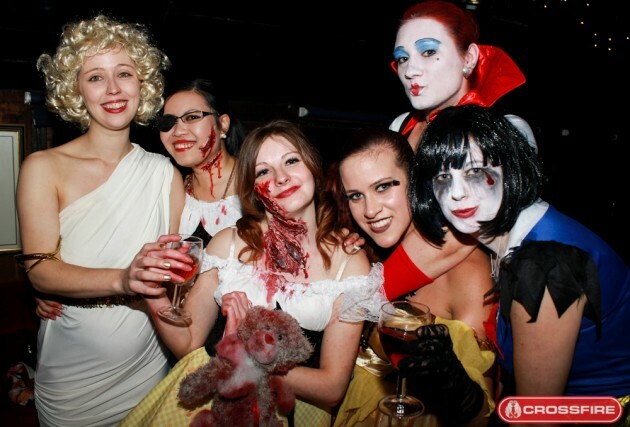 Thanks to you all for making this party amazing!